Now that Coker is running the show at Bellator MMA, he’s called upon a familiar face to help him build his new toy. 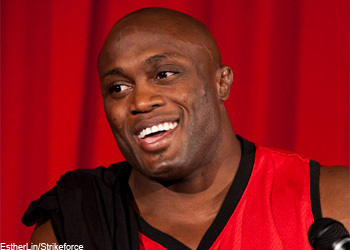 Lashley, who worked for Coker at Strikeforce in 2010, has joined Bellator and will make his promotional debut against Josh Burns on September 5. Featherweight champion Pat Curran defends his throne against Patricio “Pitbull” Freire in the card’s main attraction. Muhammed “King Mo” Lawal battles Tom DeBlass in the co-featured event. Mohegan Sun Arena in Connecticut hosts Bellator 123.